The Horsehead Nebula is a dark nebula in the Orion constellation. 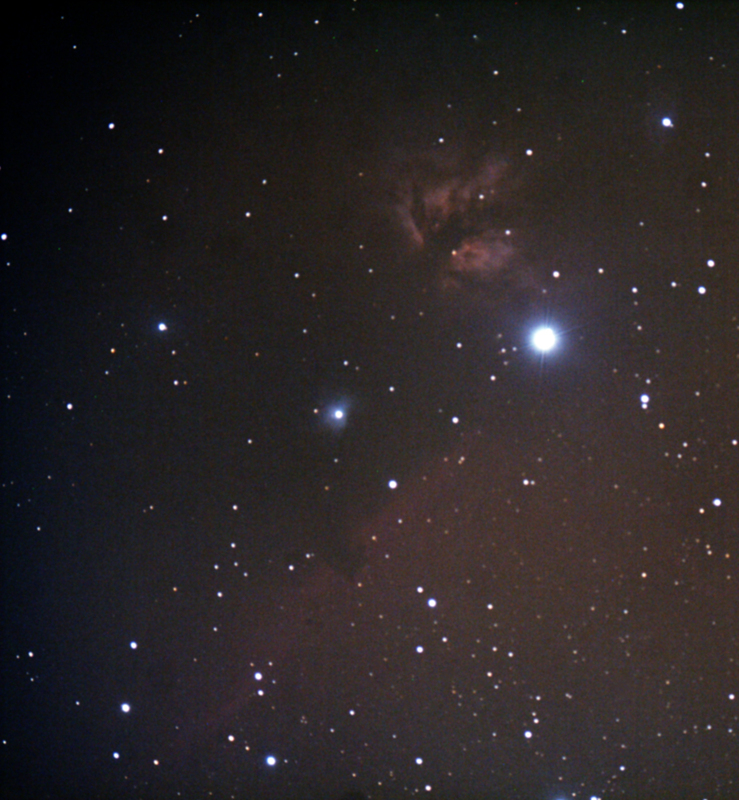 The nebula is located just below Alnitak, the star furthest left on Orion's Belt, and is part of the much larger Orion Molecular Cloud Complex. It is approximately 1,500 light years from Earth, and is approximately 3.5 light years wide. One of the most identifiable nebulae in the sky, it is part of a swirling cloud of dark dust and gases, shaped like a horse's head (hence its name), but some people also believe it looks like a lion and its mane. Also known as Barnard 33, the unusual shape was first discovered in 1888 by Williamina Fleming on photographic plate B2312 taken at the Harvard College Observatory. 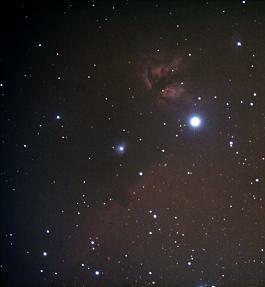 My first Horsehead and Flame nebulae photo.